Foldamers are artificial folded molecular architectures inspired by biopolymers. Foldamers can be designed and produced using stepwise synthetic approaches, polymerization methods and molecular biology tools. They find applications in a broad range of areas from materials to biology. 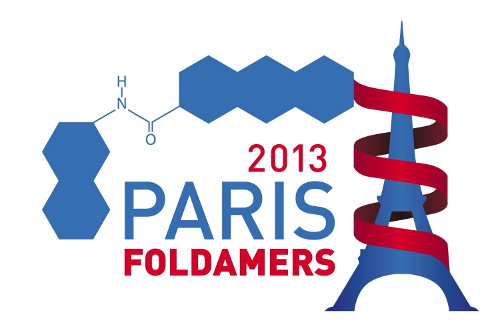 This symposium will focus on various aspects of the design and preparation of foldamers, the structural characterization of their structures and folding propensity, and their properties and function. A prime objective will be to illustrate the multidisciplinary aspects of the field. The workshop will be held under the joint patronage of COST Action CM0803 and Marie Curie IAPP FOLDAPPI project (FP7). The opening of the symposium is scheduled on Wednesday April 10th 2013 at 9:00am. Closing will be on April 12th 2013 at 12:00. Attendance will be limited to ca 250 participants. The conference program includes plenary lectures, keynote lectures, oral communications and poster sessions.